Britain’s manufacturers will enjoy faster growth than those in Germany or any other western European economy this year from rising demand at home and abroad, according to a report. In its annual survey of companies, manufacturers’ organisation EEF found 70% of firms forecast an improvement in the economy in 2014, while just 5% thought conditions would deteriorate. The balance of 65% compares with the sombre outlook at the same time last year when the reading was just 7%. The balance expecting a good year for manufacturing is 52% – up from zero this time last year. “Manufacturers are telling us they expect to make a greater contribution to growth, investment and jobs this year,” said EEF’s chief executive Terry Scuoler. The EEF, along with the thinktank Oxford Economics, has forecast that the British manufacturing sector, which accounts for 10% of the economy, will grow 2.7% this year. That puts it ahead of all other western European countries in the thinktank’s forecasts. German manufacturing is expected to pick up by 1.6% with France at just 0.7%, level with Spain and just of Greece at 0.4%. But the evidence from the sector was more positive for this year, including signs the pick-up in momentum was broad-based, she said. “The sectoral difference is not as stark as a year ago. We were quite reliant on the transport sector to do a lot of the heavy lifting for the manufacturing sector over 2013… This year it should be more evenly spread,” she said. But the manufacturers’ group also warned of risks from many sides as the sector strives to make up for the sharp contraction in recent years. The survey of 200 senior executives said uncertainty had become the “new normal” after the shocks of recent years when demand dwindled in the UK’s key export market, the eurozone. For the year ahead they are worrying about energy prices, being held back by the prolonged hollowing out of the UK’s supply base and pressure for pay rises as skills shortages continue to bite. The survey also suggested business investment will finally start to grow again this year. Some 60% of companies said they planned to invest moderately or significantly in the UK. Signs that large companies are ready to start spending some of the cash piles they have been sitting on while smaller firms are prepared to borrow to expand reflect a brighter outlook for sales. Two-thirds of companies expect domestic sales to increase and, 55% of companies expect their exports to increase. The Middle East stands out as an increasingly favoured market for UK manufacturers while they are also more upbeat about the eurozone. Despite the generally positive outlook painted by the survey and other recent indicators from the sector, the EEF said three quarters of manufacturers believe “economic uncertainty is the new norm”. 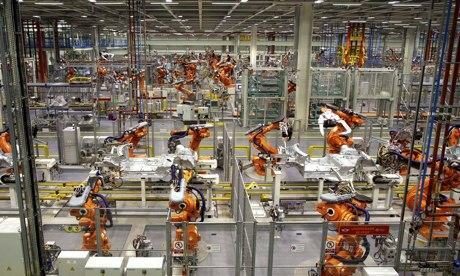 Manufacturers’ general optimism was echoed in a separate report suggesting Britain’s biggest companies plan to increase investment and hire more workers in 2014. The latest poll of 122 chief financial officers by consultants Deloitte also found almost half of respondents – 49% – said Bank of England governor Mark Carney’s policies had boosted confidence in the UK’s economic outlook. Just 3% said confidence had been dented and the rest saw no effect. Companies’ appetite for risk was the highest since the quarterly survey started six years ago and 70% of those surveyed said they expect businesses to increase hiring in 2014. Headquartered in the City of London, the financial centre of the world, Counton Global Mobility Solutions, a subsidiary of Counton Capital with all relevant credentials, provides all-round and one-stop professional services like investment consultancy, start-up guidance, immigration，education facilitation，medical and healthcare tourism to enterprises, families and individuals. In 2015, Counton Global Mobility Solutions Ltd expanded to Beijing with the launch of our services. Counton Global Mobility Solutions has the expertise to provide professional consultancy services to Chinese clients wishing to travel to the UK for premium private medical and healthcare services. Counton GMS is supported by the UK government (UKTI), British Embassy Beijing and CBBC to offer a wide range of services in the UK and China to high-net-worth individuals.